Help make Connecticut a better place to bike and walk. Donate to Bike Walk Connecticut. It's easy! You can make a secure online donation and pay with your credit card, debit card or PayPal. As a membership organization, our work runs on the financial support of our members, donors and sponsors. It's a good investment! Read about our priorities and accomplishments here. 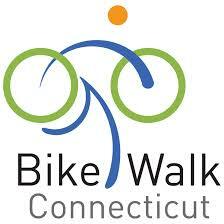 Thank you for investing in Bike Walk Connecticut. Pro-bike, pro-walk advocacy and education--including working with legislators, state agency leaders, our Congressional delegation, and other policymakers to get more bike- and walk-friendly laws, policies, and funding at the state level. ...And we're working to get those laws, like the Vulnerable User law, enforced. Pro-bike, pro-walk professional training for the transportation professionals in state and local government who are ultimately responsible for designing the streets, roads and greenways we need to be safe and bike and pedestrian friendly. Expanding our "Give Respect, Get Respect" Share the Road campaign to make Connecticut hospitable to pedestrians and cyclists. We're launching the campaign with 10,000 new Share the Road brochures, but we'd like to do even more with radio and web ads, billboards, share the road license plates, and more. Our Connecticut Bike Walk Summit, which convenes the state's citizen advocates, government leaders, and transportation professionals. Bike education classes for adults and kids. Connecticut's Bike to Work Day, held every May as part of National Bike Month. As more people bike to work, the safer it becomes as drivers begin to expect more cyclists on the road. Plus, biking to work--or whenever you can bike or walk instead of instead of driving-- is good for the climate. Passenger vehicles are the single biggest source of Connecticut's greenhouse gas pollution. Our Discover Connecticut Bicycle Tour Series--fun, leisurely, noncompetitive rides to showcase the best of beautiful Connecticut. With enough sponsorship and volunteer support, we'd like to expand our Discover Tour series in 2016. General Operating Support. As a nonprofit, our primary purpose is our mission. But we're also running a business, and we know that to achieve our mission we must run our business well and hire more staff so we can get more done! Make Your Investment Go Further! Does your employer match your donations? Many businesses have grant programs for employees' favorite nonprofits, a Matching Gifts Program, or a United Way campaign. Please contact your company's payroll or human resources department for more information. Our FEIN is 20-2909972.